A new home builder is a custom home builder who designs and builds a home from scratch to finish. You pay the agreed amount for the building plus his service fees. And he builds to your taste. As part of the agreement, you get interim reports on the progress of the job and the level of compliance to your specifications. Building your home through a building contractor may increase the cost of your building project because you also have to pay for the services of the contractor. Naturally, you want to cut costs not increase them. Hence, you may be tempted to be biased against employing the services of a homebuilder without first weighing the advantages of doing so. So, what are the benefits of building your home with a new home builder? can only do that if they have loyal customers. They also understand that customers can only be loyal if they are satisfied customers. Satisfied customers return to do business with the company. They also invite friends and family because they trust you. you are in safe hands when you deal with a new home builder company. appropriate timeline for the project in question. A new home builder is usually a team of professionals with vast experience in the field of engineering. They come with a wealth of experience. Your new home will benefit from this experience. A custom homebuilder is usually a company with a reputation to protect. Therefore, they're under obligation to be honest with you. You can be rest assured that they will not take your money and vanish into thin air as 419ers do. Building a new home takes huge amount of time and stress. You save yourself all of that stress when you employ the services of a new home builder. You have better things to do with your time. Go handle those other stuff that will make you more money and let the new home builder take care of the hassles of building you a home. Engineers come to a building project with a depth of engineering knowledge and experience. All of this means you will end up with a durable wear resistant building when you use a new home builder for your project. It's true that your building costs increase by the fee you pay a home builder. But then it's also true that a custom home builder saves you loads of money in terms of future losses that could result if you employ quacks to build your home. Save money by using professionals to build your home. 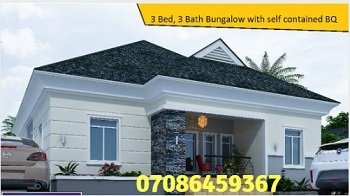 Looking to build a new home in Lagos Nigeria or anywhere else in Nigeria? We recommend you use the Erimama New Homebuilder service. Erimama Investment Company Ltd, the operators of this site, specialises in building quick built portable cabins (popularly called portacabins in Nigeria) and beautifully finished prefab homes. Your brand new manufactured home . . . portacabin, mobile home, residential or commercial prefab building . . . can be ready for use in just 2 weeks or less. Yes, we offer high quality quick built prefab homes and portacabins at pocket-friendly prices. Fill the simple form below to request a quote. P.S. Living abroad? Do not entrust individuals with your hard-earned cash, not even your relatives. Relatives have been known to squander money entrusted to them for home building purposes. Be smart. Use a reliable and trustworthy home builder, a trustworthy real estate company, for your property development requirements. Use the Erimama Portable Cabins and Prefab homes construction service.